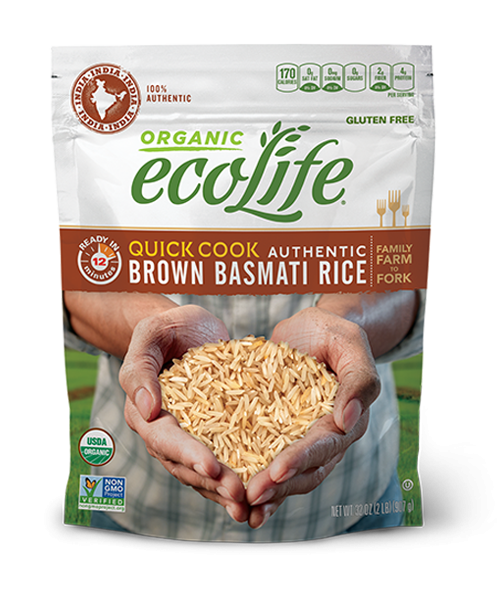 ecoLife® Organic Quick Cook Brown Basmati Rice hails from the rural farms of India. 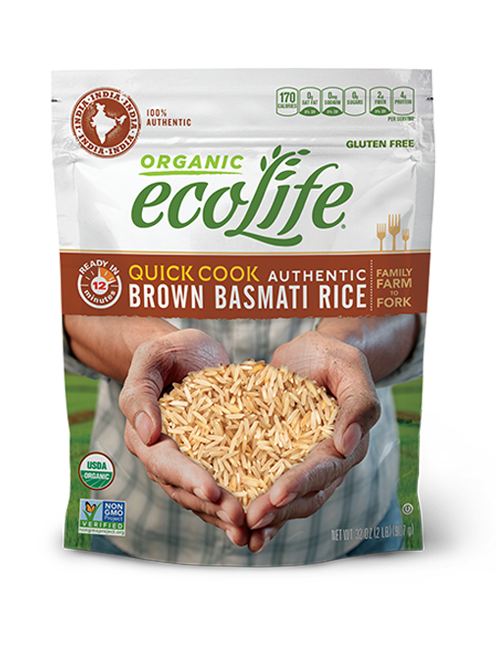 Our premium quality, naturally aged brown rice is cultivated in the Punjab region at the foothills of the Himalayas where authentic basmati rice is grown. The organic soil is fed by melted snow under natural conditions. The integrity of the grain is maintained via a hydration process where the raw grain is gently scratched, steamed, and rolled. This produces the same great texture, nutrition, and taste but reduces the cooking time to just 12 minutes. Combine 1 cup rice and 1¾ cups  water (optional; 2 tsp butter,  1 tsp salt) in a saucepan. 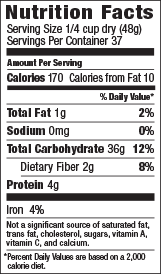 Combine 1 cup rice and 2 cups water (optional; 2 tsp butter, 1 tsp salt) in a microwave-safe glass bowl (1.5 qt – 2 qt). Cover tightly with microwave-safe lid or plastic wrap and cook on HIGH power setting for 10 minutes. Remove from microwave. CAUTION. BOWL WILL BE HOT. Combine 1 cup rice and 1¾ cups water (optional; 2 tsp butter, 1 tsp salt)  in insert pan of rice cooker. For one cup dry rice, cooking time will  be approximately 25 to 30 minutes. Microwave ovens vary. Cooking times are approximate. Adjust cooking times as needed.